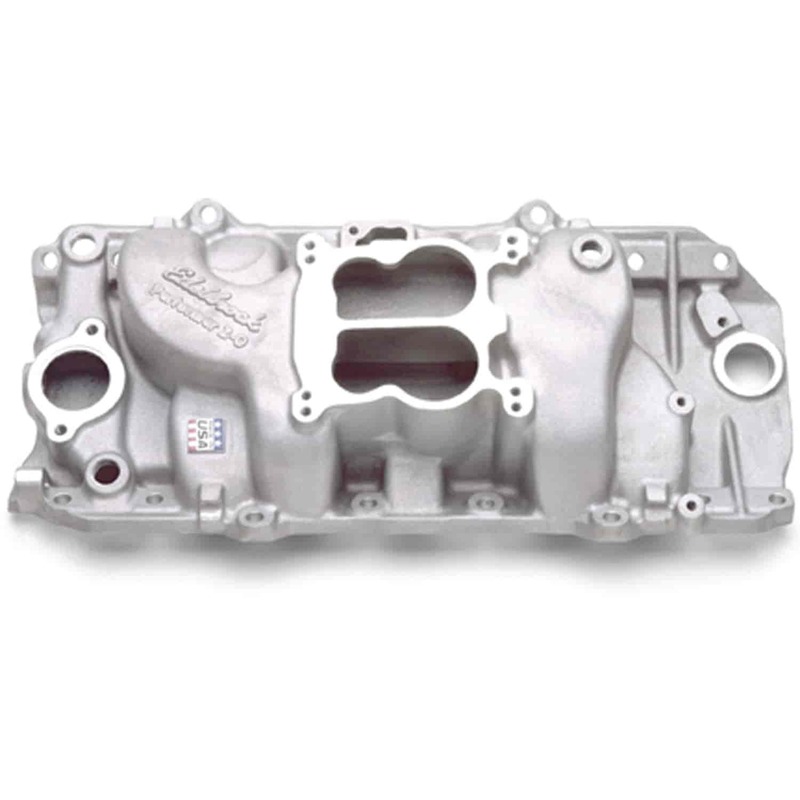 Manifold Height: (A) 4.30", (B) 5.40"
Uses square flange carb adapter plate p/n 350-2732 to adapt square bore carburetor. Does Edelbrock 2161 fit your vehicle? 2161 is rated 2.0 out of 5 by 1. Rated 2 out of 5 by elcamino 7172 from very scratched Paid good money for a top brand and it has some big scratchs and chips in the finish.